Be the first to hear about their new releases and deals. Download the Booksprout app and search for Becki Willis today! 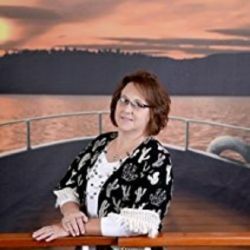 Becki Willis, best known for her popular The Sisters, Texas Mystery Series and Forgotten Boxes, always dreamed of being an author. In November of '13, that dream became a reality. Since that time, she has published numerous books, won first place honors for Best Mystery Series, Best Suspense Fiction, Best Paranormal Fiction and Best Audio Book, and has introduced her imaginary friends to readers around the world. An avid history buff, Becki likes to poke around in old places and learn about the past. Other addictions include reading, writing, junking, unraveling a good mystery, and coffee. She loves to travel, but believes coming home to her family and her Texas ranch is the best part of any trip. Becki is a member of the Association of Texas Authors, Writer’s League of Texas, Sisters in Crime, the National Association of Professional Women, and the Brazos Writers organization. She attended Texas A&M University and majored in Journalism.